The tech, Dennis Jones, made this repair a pleasant experience. He was on time,,friendly, very efficient, knowledgeable and ready with an explanation for any question dealing with the product. He willingly gave advice on how to get the best value with this service. 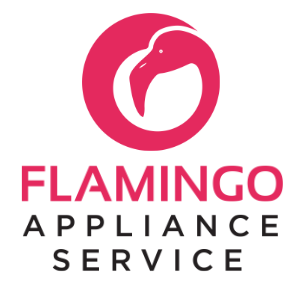 I would not hesitate to call or recommend Flamingo for an appliance repair. I would definitely request him as the service tech. Outstanding service, great customer relation skills. Person described in detail the problem and how it will be repaired. Dennis Jones provided excellent explanation on how he would diagnose our problem and the cost for several different problems. Also, looked up and found out that several parts were not available anymore due to the age of the unit, 22 years old. Dennis helped us with all the problems we had! Best technician ever!! He was very friendly and he fixed our problems really fast! Great service! Speedy repair and satisfactory results! Great Service. Issue was taken care of quickly. Very Happy! David is purely awesome and very knowledgeable. We were very impressed with his help and service. He answered every question we had flawlessly. Our tech was very professional and friendly. Terrible! This is the second time! I call but no response! 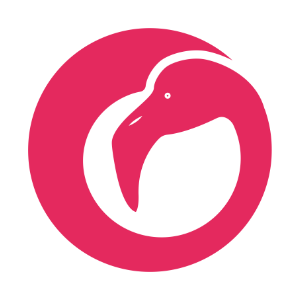 Great service, and cared about the customer. REFRIGERATOR WHIRLPOOL WRS315SDHM01 "inspected unit and customer creturning complaint of unit frosting up in freezer, no cool in RC. evap thermistor checks good. heater and inline fuses check good. unit will need main cpu replaced, please order and reschedule for 4/26/19; ordrng 1 W11203924 (contrl-box)"
N/A N/A WFW9700VW01 "inspeted unit and customer complaint of unit not filling with water, found unit to have stored faults of f20 and f24 no water and temp issue, please order main cpu water valve and senser, reschedule for; ordrng 1 WPW10133908 (cntrl-elec) and 1 WPW10247305 (valve) and 1 WPW10467289 (sensor)"
DISHWASHER WHIRLPOOL WDF520PADM7 Installed control board & tested okay. Repair complete. DRYER MAYTAG MEDB835DW4 "installed main cpu and uib, rechecked unit all ok"
DISHWASHER WHIRLPOOL WDT730PAHZ0 "inspected unit and customer complaint of unit tripping breaker. breaker is arc fault breaker, breaker was turned off at time of arrival. reset breaker, it is flashing a 6 flash fault on breaker. started test mode, removed toe panel notice the outlet that unit is plugged into is wedged under sump assy and not mounted to wall. also plug not fully plugged into outlet. called tech line for refrence with arc fault breaker. instructed by Mr. Bruce that dishwasher will not be affected by properly working arc fault breaker. unit completed test mode with no issues. started normal cycle unit started and ran with no issues and no faults stored in control. unit checks all ok ref# 7724616543. customer showed closing papers, and sent to whirlpool, first occupant of home. 12/10/18." REFRIGERATOR WHIRLPOOL MSS26C6MFB01 "installed new evap fan, rechecked unit all ok"
DRYER MAYTAG MEDB835DW4 "arrived at customer home i found error f2 e1 stuck button error and f6 e2 ui cant hear acu, unit has 244 coming from outlet and 123 on each leg and 0 neut ordering parts; ordrng 1 W11158457 (OVERLAY) and 1 W11133021 (Control)"
REFRIGERATOR WHIRLPOOL WRS321SDHZ01 "defrosted unit again, replaced faulty evap thermister and control, rechecked unit for operation, unit checks all ok"
COOKTOP KITCHENAID KECC506RSS05 "installed new cook yop on unit, scode cook top per MTDB, rechecked unit all ok"
OVEN WHIRLPOOL WOD51EC0HS00 "inspected unit and customer complaint of unit starting up then shuts down after about 15 mins, preheated both ovens to 350 deg. unit are heating good after 25 mins, no power issues from unit, uib working correctly. spoke to tech line Steve, unit is currently cooking as directed per tech line. after 40 mins unit is still currently heat. ref# 7724580162." DRYER WHIRLPOOL WED92HEFC0 "installed new heater in unit, rechecked unit all ok"
REFRIGERATOR MAYTAG MFX2570AEM4 "installed glide and ice maker in unit, rechecked unit all ok; used 1 W10882923 ("
REFRIGERATOR WHIRLPOOL MSS26C6MFB01 "installed new compressor, recharged unit with 5.0 134a had to replace drier had blockage, rechecked unit all ok"
REFRIGERATOR WHIRLPOOL MSS26C6MFB01 "inspected unit and customer complaint of unit not cooling, found unit to have no frost patteren on evap, please order compressor and evap reschedule for 4/08/19; ordrng 1 W10160407 (compressor) and 1 WP2188822 (evaporator)"
REFRIGERATOR WHIRLPOOL WRS315SDHM01 installed part had to defrost unit and defrost control board condenser was vibrating i had to installate and drain water from drain pan. advised customer to let us know if there any issues. unit seems to be working per spec. DRYER WHIRLPOOL WED92HEFC0 "inspected unit and custoemr complait of unit not heating, found unit to have open heating element, interior of dryer has lint built up, possible clogged or restricted duct work. unit will need element replaced. ; ordrng 1 WP8544771 (element)"
WASHER MAYTAG MVWB725BW0 "inspected unit and customer complaint of unit not washing clothes and damaging clothing during cycle. found basket frozen onto shaft, unable to get basket to float to release basket from shaft. unit will need outter tub/shaft, inner basket, hub assy, hub screws wash plate wash plate bolt. due to time involved, requesting double labor. called in to contract company spoke to Danielle, due to cost of repair and one part NLA unit has been submitted for resolution, ref#7724535036"
RANGE WHIRLPOOL WFG505M0BS0 "arrived at home i tested oven cool 0 ppm co setting no gas reading on f1 heated unit to tempature for 15min co reading 5ppm temp 35/.,; 0"
REFRIGERATOR MAYTAG MFX2570AEM4 "inspected unit and customer complaint of unit not dispensing water or ice, found issue with filter housing not allowing filter to lock into place. repaired filter housing, reinstalled filter, found faulty shelf glide causing drawer to fall out. please order glides and reschedule for 4/8/19 ,; ordrng 1 WPW10194031 (glide) and 1 WPW10194032 (glide)"
REFRIGERATOR AMANA SRD25S3E "inspected unit and customer complaint of unit not cooling, found unit to have incomplete frost pattern. gave customer quote for dry dryer install and recharge, customer declining at this time." WASHER WHIRLPOOL WT5640XW3 "inspected unit and customer complaint of unit not making ice, found ice maker in constant cycle, not calling for water. unit will need ice maker replaced. installed new ice maker, rechecked unit ice maker cycled upon install and called for water. ; used 1 W10882923 ("
WASHER AMANA NTW4516FW3 "installed new door latch in unit, ran recalibration on unit, rechecked unit all ok"
REFRIGERATOR WHIRLPOOL GI6SARXXF04 "deiced unit cleared and stramed evap drain. installed new tube kit basket gear and door switch, rechecked unit all ok"
WASHER AMANA NTW4516FW3 "installed new latch, new latch is defective, please reorder and reschedule for 3/20/19; ordrng 1 W11307244 (lid lock)"
M/W OTR WHIRLPOOL WMH31017FS0 inspected unit and customer complaint of units work light not functing. found bulb blown. unit will need bulb replaced. customer declining est at this time. due to cost. REFRIGERATOR WHIRLPOOL GI6SARXXF04 "inspected unit and customer complaint of unit leaking, found units defrost drain clogged alos unit has damaged gear on top left of freezer basket and freezer door switch, please order and reschedule for 3/18/19; ordrng 1 WP12466115SP (light switch) and 1 WPW10474715 (gear) and 1 W10619951 (drain tube), ordrd 1 00-55-141 (grind ring)"
DRYER ROPER RED4516FW0 "inspected unit and customer complaint of unit not advancing, please order timer, reschedule for 03/14/19; ordrng 1 W10857612 (timer)"
WASHER WHIRLPOOL MVWX655DW1 "inspected unit and customer complaint of unit not draining, found unit to have a faulty drain pump, customer declining replacement at this time." REFRIGERATOR SBS WHIRLPOOL WRS325SDHZ00 "inspected unit and customer complaint of unit making to much ice, replaced ice maker and adjusted arm of ice maker, rechecked unit all ok"
WASHER AMANA NTW4516FW3 "inspected unit and customer complaint of unit not washing, and loud clicking noise. found unit to have faulty lid lock, please order and reschedule for 3/14/19; ordrng 1 W11307244 (lid lock)"
DISHWASHER WHIRLPOOL WDT730PAHZ0 "installed top track stops on unit, rechecked unit all ok"
RANGE WHIRLPOOL WFE550HZ0 "inspected unit and customer complaint of unit giving f6 e1 error, preheated unit. please order control for sticking broil relay, and sensor and reschedule for 03/07/19; ordrng 1 W11295998 (control) and 1 WPW10181986 (sensor)"